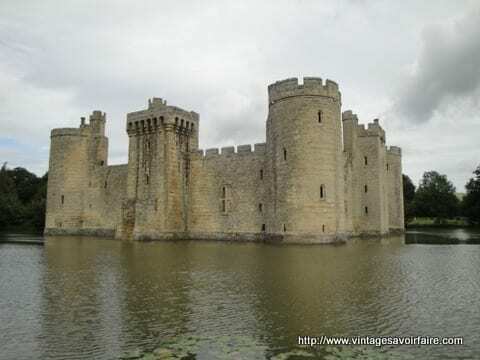 I just love when England is so … English! Cream teas. Crumpets. Pickle. Hedgerows. Elderberries. Trifles. Since I’m living in the UK at the moment, I try to rediscover traditional English remedies as often as possible. Most recipes start with picking copious amounts of fresh ingredients from a field, tree or hedgerow. This is a bit of a challenge living in London. You’re not supposed to pick plants in public parks, and the plants growing beside the road either have traffic grime on them, or might have been visited by a dog… Needless to say, whenever we are out of the city, I’m on the lookout for foraging opportunities! On a recent weekend we took the scenic route down to the south coast and along the way spotted some Elderberries growing beside the road. Elderberries have a reputation for being an amazing cold and flu remedy. They also contain vitamin C and taste pretty good when cooked, so they are often made into jams, jellies, or classic elderberry wine. I decided to make an elderberry cordial. Not familiar with cordials? They’re my new obsession. Cordials are a fruit or herbal flavored syrup that you add to cold or hot water for a drink (and are very popular in England, frequently called ‘fruit squash’). I like cordials because they’re easy to make, keep for a long time, and you can be really creative. To use cordial, just add a finger or two of the cordial to a glass and top with hot or cold water. They are also brilliant for making cocktails in place of simple syrup. This elderberry cordial is delicious! I can’t attest to its immune-boosting properties yet, but I’ll be testing it throughout the winter. So far I’ve been drinking the cordial cold, but I plan to mix it into a mug of hot water this winter … probably with a shot of brandy for extra warmth! In a saucepan, cover the elderberries in water (just enough to cover them). Bring to a simmer and let cook for 20 minutes. 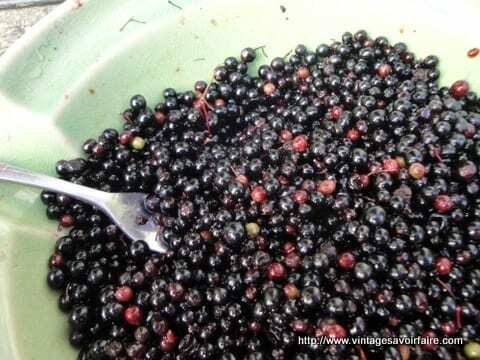 The berries will become very soft and the liquid will be dark red. Strain out the berries, reserving the juice. (Be careful with the juice, it stains!). Measure the amount of juice. Pour juice back into empty saucepan. For each 2 cups of juice, add 2 cups of demarara sugar, 2 cinnamon sticks, and the juice from 1/2 lemon. Bring mixture to a boil and boil for 15 minutes, stirring regularly (to ensure all the sugar is dissolved). Remove cinnamon sticks. Let cool while you prepare the bottles. I store my cordial in the fridge so I don't do an 'official' bottling. Take your bottle(s), and clean them well with hot, soapy water. Then, rinse them with boiling water as a final step. Once the bottles are cool, fill with cordial, cap, and store in the fridge. Will keep for at least 6 months. Serve a few fingers of cordial with hot water (and a splash of brandy) when sick or feeling rundown, or with cold still or bubbly water (or champagne!) for an aperitif. If you don't want to make your own elderberry cordial, you could try this delicious elderflower cordial instead, yum! Previous Post: « Homemade sports drink with …vinegar? Am and a, making my third batch just now. Is fab, esp with anything bubbly! I’ve never actually seen blueberry cordial over here in Peterborough. Nor have I seen Elderberry cordial..We’re stuck with the standard citrus fruits for cordial drinks from what I’ve seen on the shelves. I’m well- versed in “cordial”. We grew up on it here in Aussie- land, these might be the English roots in the family calling… Looking forward to making Elderberry cordial, they are dripping off a bush in our new garden- stoked to find this brew, thank you! Thank you for sharing this recipe. This will be the second time I am making it for my household. So easy and fast… and delicious! Have finally harvested my elderberries having already made some wonderful elderflower cordial earlier in the year, and am about to make the cordial, but being English of course I have a ridiculously small fridge – can the cordial be frozen? Hi Jude, I’ve only frozen cordial into little ice cubes (to add to drinks), I’ve never tried to thaw it out … but I imagine it would work? I generally just sterilize the bottles and bottle the cordial, and it lasts on the shelf for months. I take a dose of all natural Elderberry juice every morning. May have to tweak it with your other ingredients! THe one place I’ve heard of cordial is Lucy Pevensie’s fireberry cordial in The Chronicles of Narnia. I decided a cordial was a medicinal liquid (as she used it in drops), possibly magical in nature. (Hers certainly was; just a drop or two would heal any wound or sickness, and besides, it’s a Narnian gift from Santa!) THis sounds nice and simple to make, like so many of your things. But, being the American Northwest teenager that I am, I don’t know what you mean by a ‘finger’. (At least, I’m assuming it’s a British measurement…) Thanks! I guess it really means you can add as much as you want, until it tastes good to you! Thanks for the comment! I had always wondered what cordial was, since I read a lot of British literature growing up and live in the US. I assumed it was an alcoholic drink. After picking blueberries this year, I made some syrup just this way and now have it in my fridge. I’ll have to try making it into drinks – they have similar antioxidant and vitamin power How very cool to have some blueberry cordial! Yep sounds like you have a blueberry cordial. They’re really popular here, there’s a whole section dedicated to them near the tonic water in the grocery store, all sorts … raspberry, pear, strawberry, nettle (nettle!). So many possibilities!